From the Marriage Equality Referendum A “God Says No! Nature Says No! 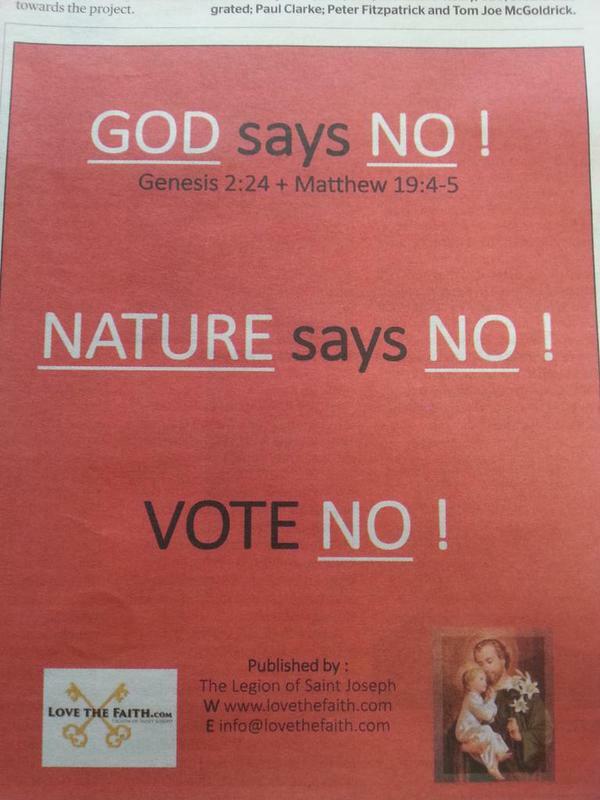 Vote No!” ad from The Legion of Saint Joseph which appeared in this weeks Anglo-Celt newspaper.